Unlike the XJ and XJ2, the Bravo-XJ3 is the more heavier version and is slightly larger. 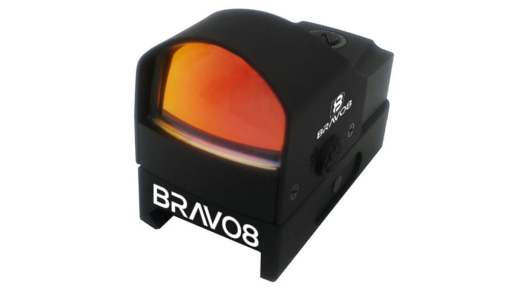 It also has 5 MOA Red-Dot Reticles compared to the XJ & XJ2 having 3.
perfect for shotguns, rifles and pistols as well. 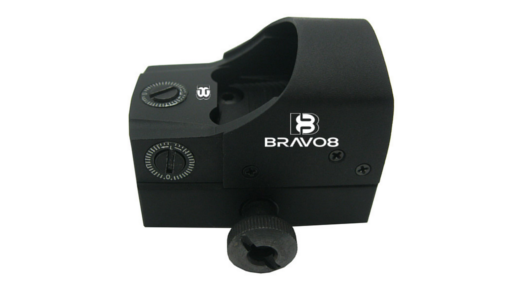 The Bravo-XJ3 is lightweight, compact and incredibly accurate, allowing it to be designed to provide a wide field view while shooting. 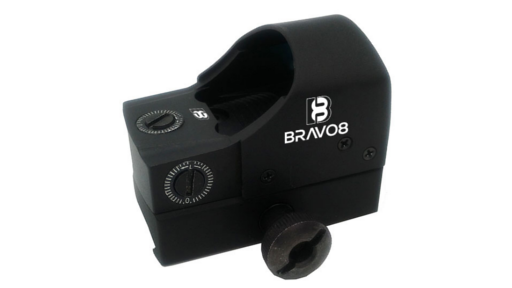 Specifically designed like any tactical close quarters red dot sight to be fired with both eyes open to maintain all-important peripheral vision and depth perception. 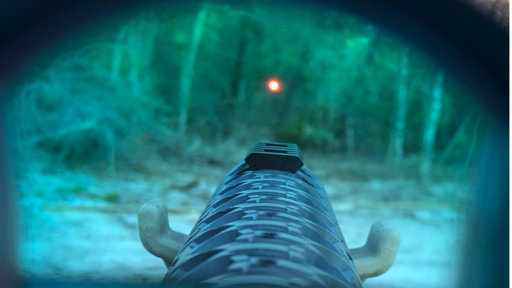 The XJ3 also is equipped with a self-regulating brightness system that ensures the 5 MOA dot reticle is always visible - but never distracting against any background. 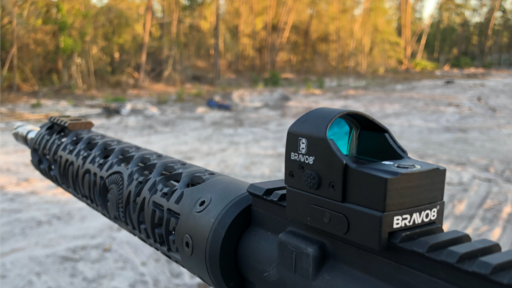 The XJ3 boasts fast target acquisition capability, has unlimited field of view, 1 X magnification and the brightness clarity of the multi-coated Bravo8 optics. 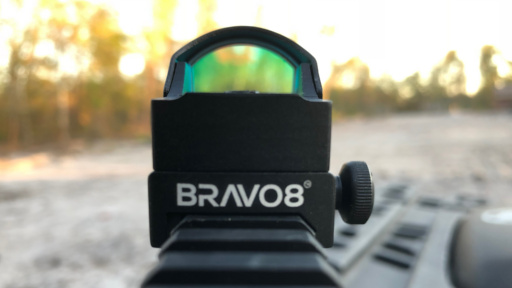 Equipped with 5 MOA Tactical Red Dot Reticles, an integrated mount (which allows you to attach it to the majority of all weapon systems), and like all Bravo8 Optics is backed by the Bravo8 Lifetime Guarantee.